Ken Armstrong joined ProPublica as a senior reporter in 2017. 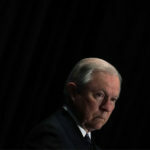 He previously worked at The Marshall Project, where his series on how death row inmates have been denied their chance to appeal in federal court because lawyers missed the filing deadline was featured at the news site’s launch in 2014. For his collaboration with ProPublica’s T. Christian Miller, about a woman charged with lying about being raped, he won the 2016 Pulitzer Prize for Explanatory Reporting. Armstrong previously reported for the Seattle Times, where he won the 2012 Pulitzer Prize for Investigative Reporting for a series with Michael Berens that showed how the state of Washington steered Medicaid patients and others to a cheap but unpredictable painkiller linked to more than 2,000 deaths in the state. At the Seattle Times, he also shared in two staff Pulitzers for breaking news for coverage of a landslide that killed 43 people and the shooting deaths of four police officers. He has also written for the Chicago Tribune, where his work helped prompt the Illinois governor to suspend executions and empty death row. He has been honored with six IRE Awards, a Peabody Award and the John Chancellor Award from Columbia University for lifetime achievement. His book with Nick Perry, "Scoreboard, Baby: A Story of College Football, Crime, and Complicity," won the Edgar Allan Poe Award for nonfiction. 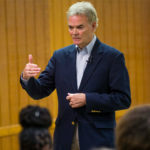 A graduate of Purdue University, Armstrong has been a Nieman Fellow at Harvard and the McGraw Professor of Writing at Princeton. He lives in Seattle with his family. The prosecutor who failed to disclose the use of hypnosis is now a judge. He knew the hypnotist from the Kiwanis Club. The reasons for the Elkhart, Indiana, detective’s forced resignation have been a mystery for years. This month, the records were finally turned over. An attorney wants the city punished for the delay. 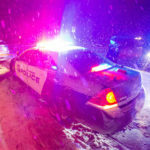 Since November, two police officers have been charged with misdemeanor battery; news reports have detailed the promotion of many officers with disciplinary records; and the police chief has resigned. Ed Windbigler was forced out as police chief this week. 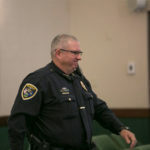 The interim head, Todd Thayer, was demoted in 2013 for saying an officer who opened fire could now check that off his “bucket list,” according to disciplinary records. 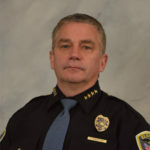 Ed Windbigler’s resignation as chief follows a videotaped beating of a handcuffed man and reports by the South Bend Tribune and ProPublica that he had promoted officers with disciplinary histories. Last year, Chief Ed Windbigler said he doubted the case against the officer would stick. After the officer pleaded guilty, the chief didn’t discipline him. This year, Windbigler promoted him to detective without telling an oversight board. 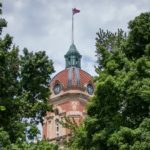 The mayor disciplined the chief after revelations by the South Bend Tribune and ProPublica about the city’s troubled police force. But the mayor made no public announcement, leaving people, including the chair of the city’s civilian oversight commission, to wonder where the chief was. 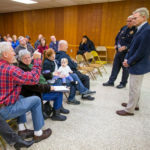 At a town hall meeting, the Police Department’s second in command defended his officers and criticized reporters. “What’s all this digging?” he said, while accusing the South Bend Tribune and ProPublica of an “ambush” for calling officers to ask for their comment. 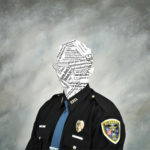 Stories by the South Bend Tribune and ProPublica revealed Elkhart police officers’ misconduct and disciplinary histories. The state police were asked to investigate, but say that’s the job of the U.S. Justice Department. Who Runs This Police Department? Lots of Officers Who’ve Been Reprimanded or Even Suspended. 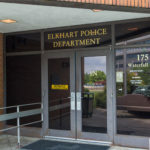 The Elkhart, Indiana, Police Department has 34 supervisors. Most of them have been disciplined for carelessness, incompetence or misconduct — including the chief. 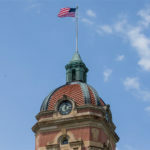 On Friday, the Elkhart, Indiana, Police Department released a 30-second clip of two officers beating a man in custody. Now we have the full 30 minutes, ending with the man leaving the police station on a stretcher. “A little overboard,” is how the police chief had previously described the officers’ actions. 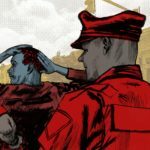 The decision to charge them came only after ProPublica’s Local Reporting Network demanded to see the video. In Elkhart, Indiana, even easy records can be hard to get. Trial exhibits? No. Appellate briefs? No. Police reports in the court file? No. And don’t even ask about moving those boxes. False reporting is a crime, one that some police would like to make a priority. But history shows the police can’t always tell the truth from a lie.